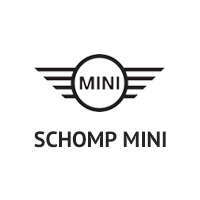 Since its inception in 1959, MINI has enjoyed notoriety among celebrities the world over. 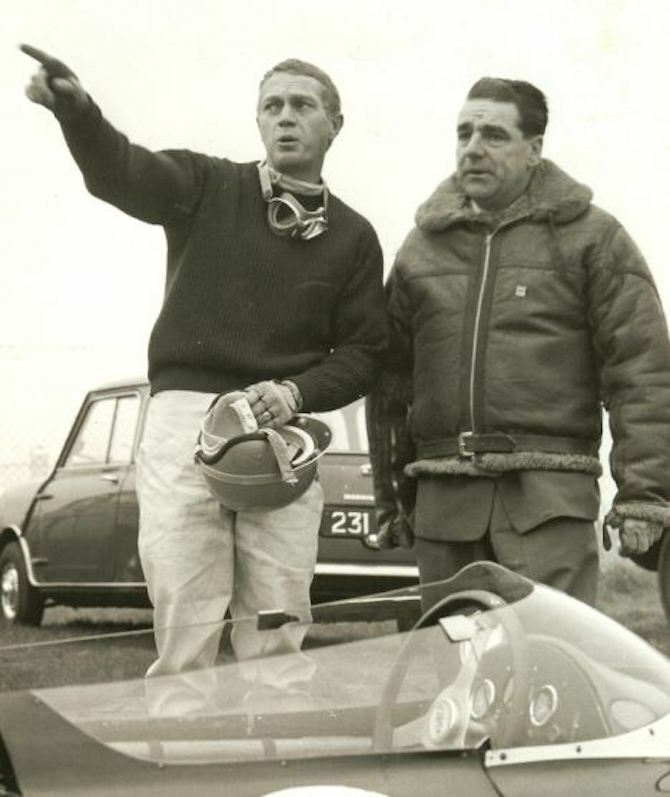 Perhaps none was more notorious than the legendary Steve McQueen, who had a close personal friendship with Racing Legend John Cooper. During the filming of “The War Lover,” it’s rumored that Cooper ignited McQueen’s interest in the brand, paving the way towards ownership of his Mark II 1967 Cooper S.
Steve McQueen last owned the car in the 1970s, and as of today, it is believed to still be privately owned by his acquaintance Lee Brown. According to Matt Stone’s novel “McQueen’s Machines: The Cars and Bikes of a Hollywood Icon,” Lee Brown first met McQueen when he came to Brown’s Hollywood paint and body shop with his Ferrari Lusso. 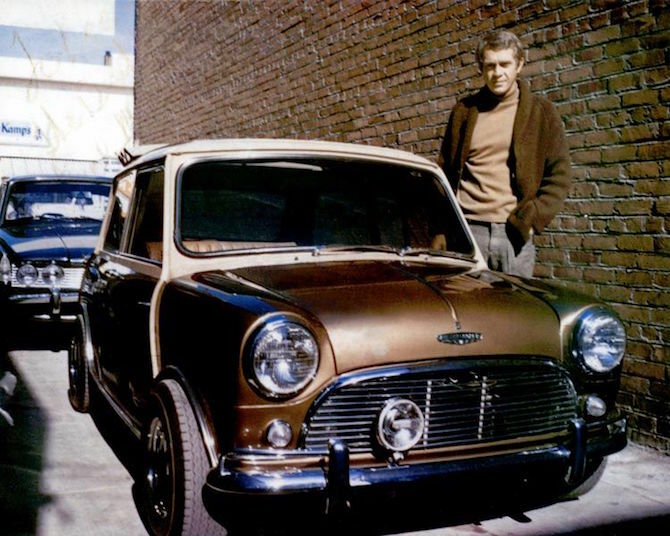 Shortly thereafter, Brown became involved with the actor’s treasured Mini Cooper S.
Originally green with a white top, the Cooper was repainted metallic brown with a beige top to reflect McQueen’s love for subtle colors. Features such as a single fog light, recessed antenna, and a wood dash were also installed at the actor’s request. Brown said that McQueen enjoyed customization, always doing things to his cars to make them his own. Once complete, Steve insisted on taking the car for a “spirited” ride. 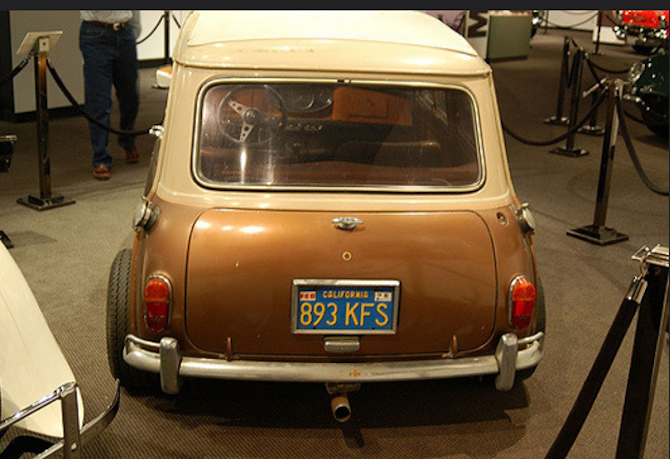 With Brown in the passenger’s seat, McQueen headed through hollywood, redlining the little Cooper S in every gear. On a particular right turn, Brown said, the actor got off the gas, pitched the car around, and caught the right-rear tire on a curb, putting the car up on its two drivers-side wheels. “We must have gone that way for 150 feet, McQueen working the wheel to keep us from rolling over or hitting any of the parked cars on the opposite side of the street. Finally it landed right-side up, on its own wheels. We were both white as sheets, and our knees were knocking,” he said. 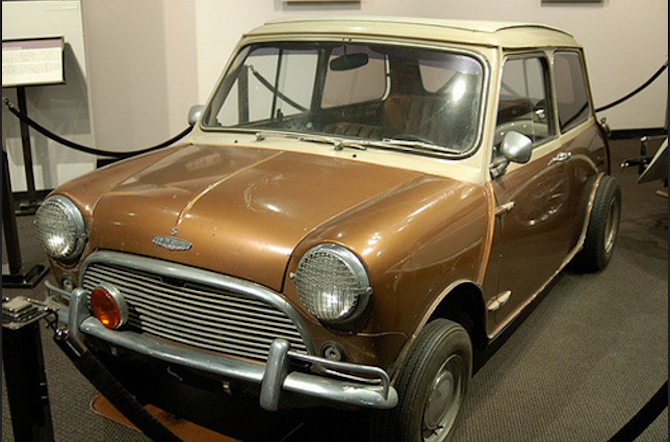 After an enjoyable ownership, Steve McQueen sold his Cooper to Hollywood Sports Cars. The car was owned by a handful of people before Brown spotted it in a “For Sale” ad in 1990. Upon verifying that it was indeed Steve’s car, he quickly purchased it, keeping it to this day in original, unrestored condition. Brown says that even though he is more than capable of restoring the car, he’s happy enjoying it just the way it is. We’d assume McQueen would have loved it just this way, too. Through March 31st, truly unbelievable deals are available on the 2015 Cooper S 2-Door Hardtop. Just like McQueen’s car, the legend lives on, begging to be redlined in every gear and flung from corner to corner. 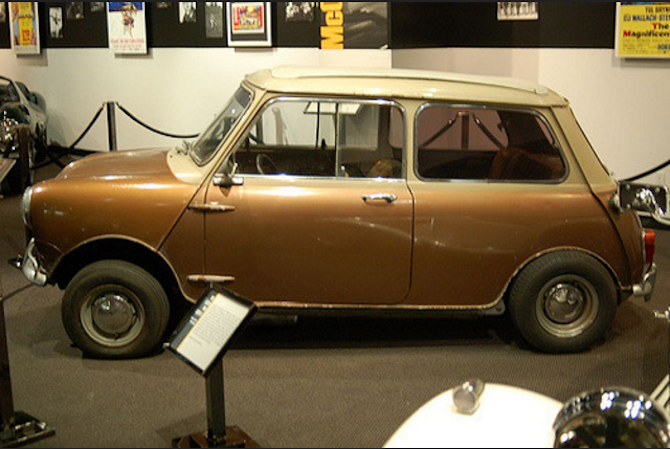 The newest model is even available in “ Iced Chocolate Brown,” a pretty close representation of Steve’s Cooper. With interest rates as low as 0.9% for 72 months and leases starting at just $239/mo, there has never been a better time to create your own story, and take away a little part of McQueen’s legend.